So, it just dawned on me earlier this week that we will be on our beach vacation in about a month. And that our local pool, which we purchased a summer membership to last earlier this month, will be opening THIS WEEKEND. Anyone else realizing that crunch time for swimsuit season is like... NOW? But not to worry, folks. Add 5 minutes of cardio to your usual workout each week. So on week #1, add 5 minutes. Then on week #2, add another 5 minutes. By the end of the 4 weeks, you will have added an extra 20 minutes of calorie burning cardio to each of your workouts without you hardly noticing it! I just started this a few days ago & burned an extra 50 calories during my cardio session. I make it to the gym about 3 times a week, so that will be an extra 150 calories burned just this week! Don't ignore that sweet tooth, but do satisfy it with healthier options! One of my personal favorites is to sprinkle half a tablespoon of semi-sweet mini chocolate chips over a container of strawberry or raspberry nonfat Greek yogurt. Or you can try a few of my personal favorites from the Frugal Foodie Mama recipe box- Skinny Chocolate Chip Cannoli Dip, Feel Good Peanut Butter Chocolate Chip Oatmeal Cookies, or my Oatmeal "Raisin" Cookie Green Smoothie. If you can't make it to the gym and/or are short on time, work out at home! Search YouTube for workout videos geared towards the areas you are targeting for toning. Some of my personal faves are Jillian Michaels' workout videos on YouTube- most of them are under 40 minutes, just require a yoga mat and small hand weight, and are a real workout. That lady is no joke, folks. Drink more water! But make it fun. :) Lately, I have been using my pretty glass mason jar style drink dispenser for making flavored waters. My favorite has been crisp and refreshing cucumber water. Just peel a large cucumber, cut into slices, toss into the bottom of a drink dispenser or pitcher, and fill with water. Place it in the fridge and give it at least two hours to chill and infuse a bit before have your first taste. Best. water. ever. And no added calories for the flavor! And last, but certainly not least- Get on board with the Slimfast® 14 Days to Slim program! By simply replacing two meals a day with Slimfast shakes (and following the additional guidelines of the program), you can lose up to 6 pounds in just 2 weeks! How is that for a kick start to swimsuit season? Plus, you can get entered to win 1 of 2 $5000 grand prizes from now until May 27th, 2014! I have to admit that I was a little skeptical at first of these shakes. 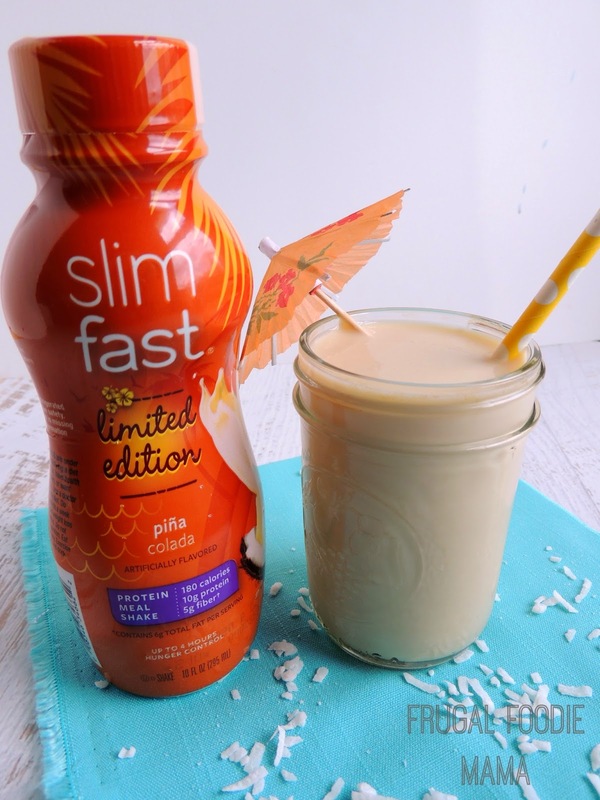 It has been quite a while (like years) since I have tasted a Slimfast shake, but I was pleasantly surprised by how creamy & delicious these are! Need a kick start to get swimsuit ready too? Take the 14 Days to Slim Challenge today & don't forget to get entered in that sweepstakes! I mean, you get to dig out those cute bikinis and little sundresses you stashed away AND you can win one of the $5000 grand prizes to boot! :) Yes, my friends- you can finally unlock ALL the cute summer pieces in your closets and drawers. 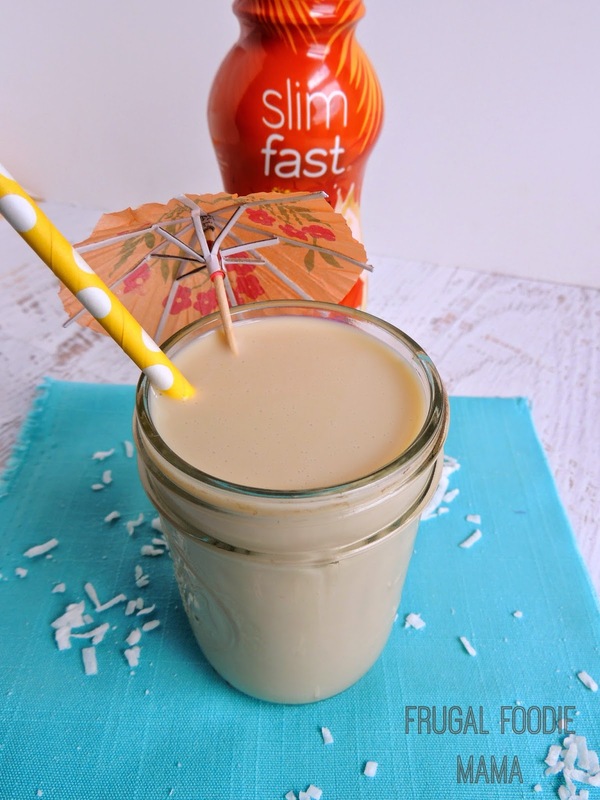 Be sure to follow Slimfast on Facebook and Pinterest for even more delicious, slim down inspiration. 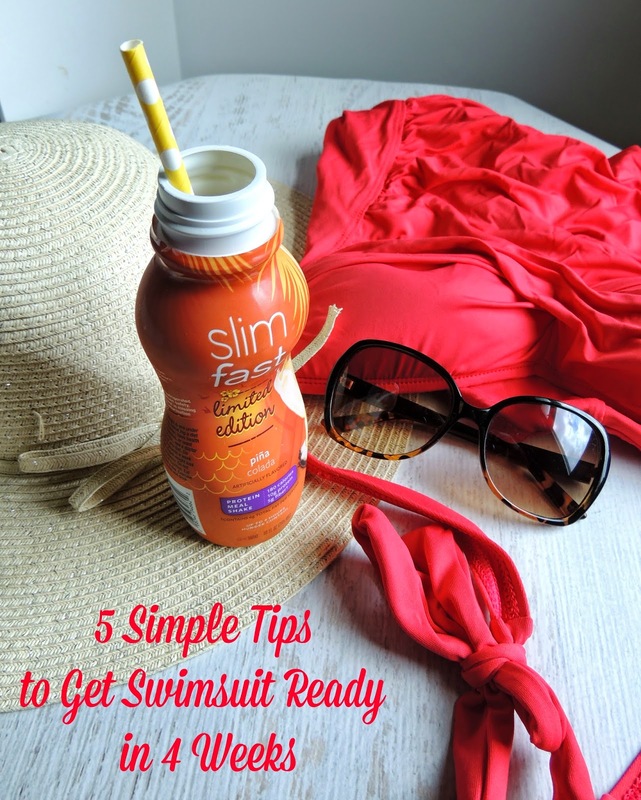 What is your top tip for getting swimsuit ready in no time?